"The past is our heritage, the future is our legacy, and the present is our responsibility." Moving Our Alumni Association Forward - Everyday ! It is the faithfulness of alumni members who stand with us both financially through their generous donations and volunteer service that makes our alumni association possible. Alumni Association members who sign up for a "free membership" may upgrade to an Annual paid membership at any time by choosing the link on their profile page marked "change membership level". It is not required to upgrade to retain a free membership in our association. 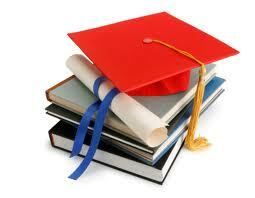 However, Annual memberships help to defray Alumni Association operating costs and are greatly appreciated. Membership fees are the lifeblood of the Alumni Association. Without them there would be no web site, no database, no newsletters, no alumni events, and very little in the way of gifts to the school. Alumni memberships will offer you invitations to all our major events, the newsletters, and our gratitude, and you will have the satisfaction of knowing that you are responsible for all that we do for the school, the alumni, and the students. Please consider a paid alumni membership. Help our alumni association by becoming a Sustaining Donor. Help support our alumni association. 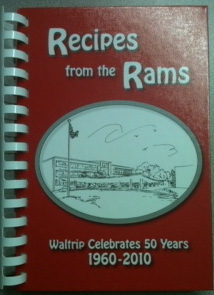 Due to significant requests to purchase additional copies of the Waltrip 50th Anniversary Special Edition Cookbook – “Recipes from the Rams”, a 2nd printing is now available. The cost is $20.00 per book. If we need to ship them, an additional cost of $4.00 per cookbook ordered will be added for postage. 100% of the proceeds will go to the Waltrip Alumni Association Scholarship fund. Waltrip Quarterback - Cameron Howe Wins "Quarterback of the Year"
Alumni Class of 1969 - Doug Cooke received the "Astronautical Engineering Award for 2017" at the Werner Von Braun Dinner in Huntsville, Alabama. Waltrip Alumni, Leonard Critcher, has a new book available. Retired Waltrip French teacher Mike Donahue's grandson discovers 100 million year old dinosaur! 01 Oct 2017 1:43 PM • William Howard. Jr.
15 Jun 2017 2:49 PM • William Howard. Jr.